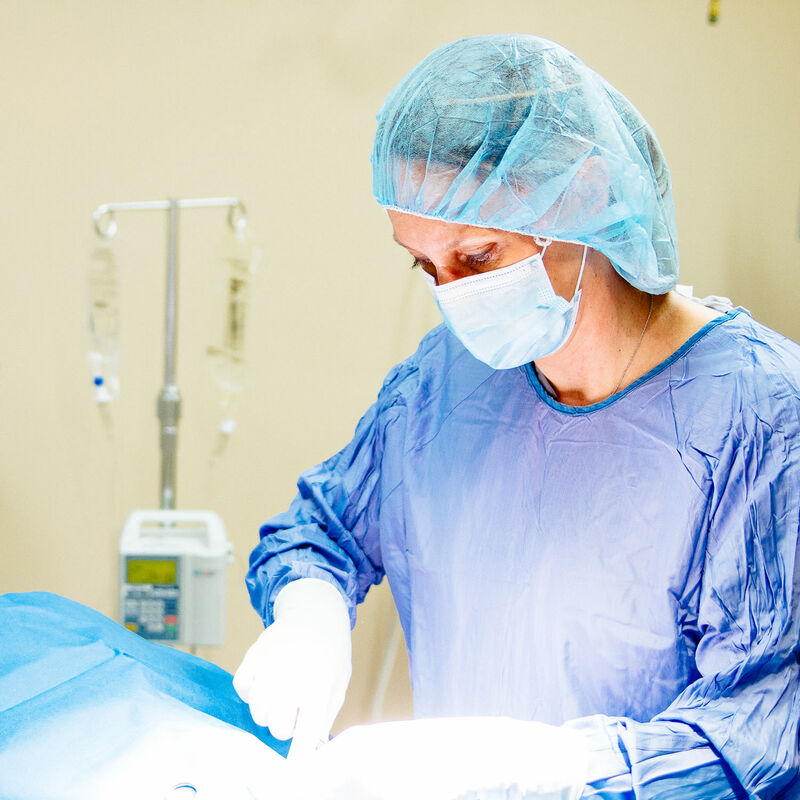 Anesthetic safety is of highest priority at Sumner Veterinary Hospital. 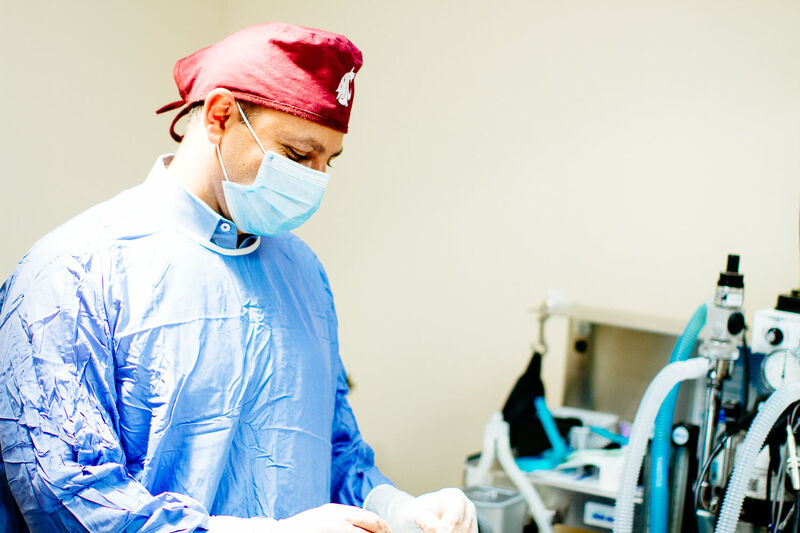 We adhere to strict and non-optional anesthetic guidelines. Each pet is unique and is assigned an anesthetic risk grade. Based on the specifics of each pet (age, breed, anesthetic risk, etc) an individualized anesthetic protocol is tailored, including precalculated emergency drugs and pain management. Each pet is continuously monitored by the anesthetist and all the parameters are recorded with the aid of LifeWindows anesthetic monitoring. Each pet has an intravenous catheter, constant fluid therapy during the procedure and supplemental heat as needed. Pets are closely monitored until completely awake. Cranial Cruciate Ligament CCL Tears (also known as ACL tears) are one of the most common injuries in dogs. Similar to people the CCL tears will results in pain and dysfunction in the affected leg. The goal of surgery is return your pet to full functionality to enjoy a happy and active life. Patellar Groove Replacement (PGR) is a very specialized and unique procedure, similar to specific type of knee replacement surgery in people. PGR help to correct severe abnormalities of the surface where the knee cap slides. Common abnormalities corrected by PGR are patellar luxations, severe arthritis of the patellar groove, etc. The procedure utilized very a special titanium alloy implant to provide very smooth surface for the patella to slide in. Patellar (knee cap) luxations are a common disorder most commonly affecting small breed dogs. Depending on the grade and degree of affections, some luxations can benefit from surgical intervention. Depending on what is the main cause of the patellar luxations several different treatment options are available. Read more. In the unfortunate event when your pet might need a fracture repair, we offer many different fracture repair modalities that can be tailored for each specific fracture type. FHO is procedure aimed at reducing pain and allowing for better mobility in dogs affected by diseases of the hip joint. Read more. Limb amputations are considered a last resort salvage procedure. Common indications for amputations are: bone tumors, severe trauma, etc.